A healthcare administration degree readies graduates to rise to the challenges posed by today's complex and constantly growing healthcare industry. While doctors and nurses may be the more publicly recognized faces of the healthcare system, behind every smoothly operating medical facility is a team of health administration professionals dedicated to ensuring that patients receive the most effective and efficient care possible. As the U.S. population continues to age and national health expenditures continue to increase, the demand for qualified healthcare administrators will become ever more pressing. In fact, the U.S. Bureau of Labor Statistics reports a projected employment growth rate of 22 percent for the field, faster than average for all occupations. Not sure if you can commit to attending classes on campus? Consider these all-online alternatives. A Healthcare Administration Degree, whether at the undergraduate or graduate level, provides the training and education necessary for taking advantage of the numerous career opportunities in the field. Healthcare Administration Degree students take coursework in general business management principles, accounting and strategic planning, in addition to classes specifically tailored toward work in the healthcare industry, such as health policy, legal principles and ethics. For individuals ready to step into leadership roles in the modern healthcare system, a master in health administration, or MHA, provides advanced-level training with a focus on real-world issues, often including a required residency practicum or other capstone project. In response to the growing need for forward-thinking healthcare leadership, a number of highly respected schools now offer specialized Healthcare Administration Degree programs. Study options are available both in traditional campus settings and online, making location or present career obligations no obstacle to pursuing an education in this field. Standout programs include Ithaca College's B.S. in Health Care Management degree, which emphasizes hands-on learning and practical experience through internships, supervised research and other fieldwork opportunities, and the online B.S. in Health Services Administration offered by Drexel University, which allows students to enroll part-time and complete their degrees entirely through distance-based coursework. At the master's level, degree candidates may be interested in the versatile MHA/MBA dual-degree program offered by the University of Washington, or in the executive MHA program available through the University of Minnesota, a hybrid online/on-campus degree track designed for current healthcare professionals. When searching for the best healthcare administration degrees, factors such as school ranking, faculty experience and curricular strengths or specialties should all be considered. Prospective graduate students in particular should seek out programs with a practicum or research component. The best online healthcare administration degree programs will be fully accredited and will integrate interactive learning methods with a flexible online delivery format. Healthcare administration professionals can be found working in a variety of settings, from small private practices to regional hospitals to national medical centers. Healthcare administration careers are available in nursing homes, outpatient care centers, rehabilitation clinics or home healthcare services. Individuals possessing baccalaureate Healthcare Administration Degree can find entry-level employment as healthcare administrative assistants, or they may be employed at the managerial level in smaller practices and offices. Employment at the upper levels of larger organizations such as hospitals more commonly requires a master's level degree. Possible job titles for health administration graduates include medical services manager, health information manager and nursing home administrator. Medical services managers plan, coordinate and oversee the delivery of healthcare services, with a focus on efficient business procedures and quality patient care. Duties include the management of finances, the supervision of administrative assistants and the maintaining of records. According to the BLS, the median annual wage for medical services managers was $84,270 in May 2010. Wages vary depending on the size of the department or facility, and the corresponding level of responsibility. Health information managers are responsible for the security, accessibility and accuracy of the huge amounts of records and paperwork necessary for the functioning of a healthcare facility. Much of this data is legally and ethically sensitive, so health information professionals must keep abreast of current or proposed legislation and regulations on health information. The job requires both administrative acumen and technological savvy, as health information managers maintain databases, update computer systems as needed and supervise health informatics staff. 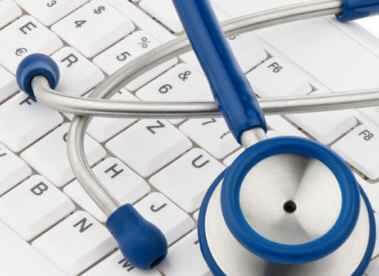 Payscale.com reports that health information managers typically earn between $36,350 to $104, 698. Nursing home administrators oversee the operation of nursing care facilities, coordinating the admission of new residents, the hiring and scheduling of staff and the delivery of care. They also manage the facility's budget and finances. All states require that nursing home administrators be licensed. The typical salary range for a nursing home administrator is $45,636 to $115,594, as reported by Payscale.com. Location and level of education play a role in healthcare administration salaries and employment opportunities, with Payscale.com reporting that major metropolitan centers such as Philadelphia, Dallas and Los Angeles are popular career destinations for healthcare administration graduates. For increased salary potential and further career advancement, healthcare administrative professionals should focus on gaining both academic and real-world experience within their planned areas of specialization. Completing a healthcare administration degree through a solid, well-respected program is the first step toward a rewarding career in this dynamic and in-demand field.